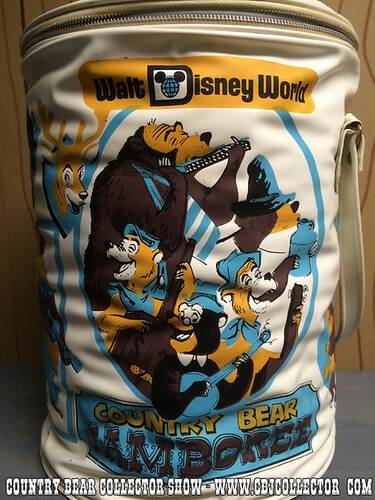 This week Grant Baciocco takes a look at a vintage Pepsi branded cooler from the late 1970s, early 1980s featuring characters from Walt Disney’s Country Bear Jamboree: Henry, Sammy, Zeke, Zeb, Teddi Berra, Fred, Tennessee, Ernest, Bunny, Bubbles, Beulah, Trixie, Terrance, Max, big Al, Buff, Melvin, Gomer, Wendell, The Shaker. Grant gives his Paw Rating, letting you know how cool this item is and if it is worthy of your Country Bear collection! CLICK THROUGH BELOW TO SEE CLOSE UP PICTURES!